We at Triple "J" Ranch take pride in providing you with the most pleasant and enjoyable time possible. In having a lifetime of experience with horses and a complete knowledge of our wilderness area, we feel confident that you will have a safe and exciting adventure. 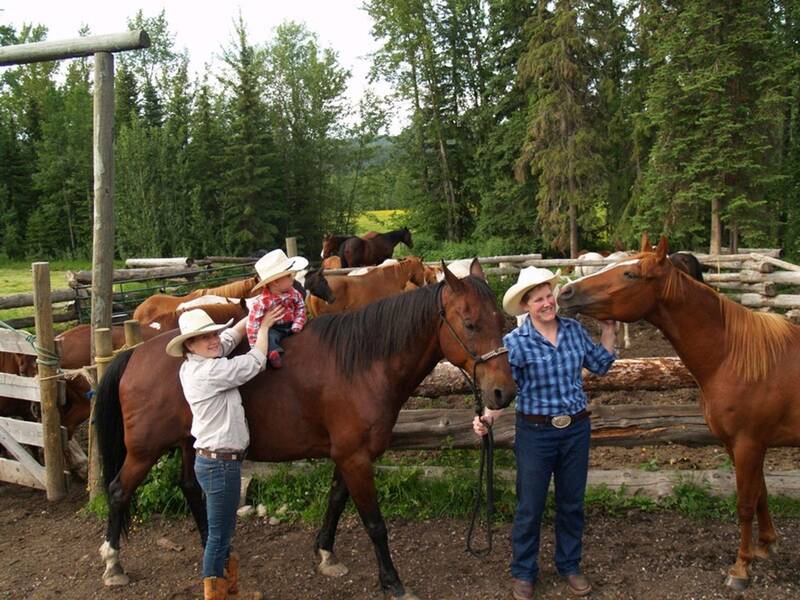 Triple "J" Ranch is nestled in "Beautiful Ahbau Country," within the Cariboo Region, where the horse trails take us along creeks, rivers, lakes and into the mountains, overlooking the countryside. For any wildlife photographers and enthusiasts, this is a must! Beautiful B.C. 's Cariboo-Chilcotin-Coast is too wonderful not to be shared. So for some Great "HORSE-PITALITY", and a "WHOLE MESS O' FUN & ADVENTURE," come ride with us. Enjoy peaceful relaxation and an awesome experience, all at the same time.